A seed. Faith starts with a seed. So does any harvest. Jesus himself promised his disciples that if they had faith as small as a mustard seed they could uproot a mulberry tree (Luke 17:6) or move a mountain (Matthew 17:21). You need faith and a seed to grow a tree as well as uproot one. One of my favorite September activities is picking apples. I love visiting an orchard on a crisp fall day with clear blue skies when the sun still provides enough warmth that you can leave your jacket behind in the car. I enjoy the experience of reaching up through the branches to select the perfectly ripe apple as much as I enjoy eating the apple later. Of course, the welcoming orchard laden with fruit at my favorite local farm is the end product of many years of work for the farmers, including labor throughout the growing season to ensure a bountiful harvest in September. Some years the blossoms freeze and then are scorched in the sun, limiting the fruit yield for the entire season. Other years, insects threaten the crop, creating extra work for the farmer. However, with proper care and patience, a harvest will come most years. Those of us who write books know that our labor of love is truly a process of sowing. We are planting ideas, and casting spiritual seeds on what we pray will be fertile ground. Like germination, which usually occurs hidden in the depths of the soil, writing happens in quiet, hidden places, away from the clamor of the crowds. We can envision our intended audience and select words and sentence structure with them in mind, but only God truly knows who needs to read our words. If we are fortunate, our words may touch a heart that hasn’t started to beat yet. Unlike speakers who can receive immediate feedback by looking into the eyes of the listeners in the room, writers may never meet many of their readers. The time and place when a writer’s words will have their impact is not the writer’s to know. A writer must create by faith and trust the outcome to God. All writers take a hurry up and wait journey, especially those who choose the traditional publishing route. This journey also is an expression of faith. Like the farmer who tends the apple orchard, the harvest of a writer means intense times of labor alternating with stretches of simply waiting on the process. The owner of the orchard waits for the apples to grow, and no one can rush this process without damaging the quality of the crop. The publishing process helps grow the manuscript and the writer should respect the process. The input of editors, reviewers, marketing team members, and designers makes for a higher quality book. Team efforts take time. This time may cause the writer’s friends and supporters to wonder whatever happened to the book. Tell your friends that your book needs to grow for a season before the harvest comes. 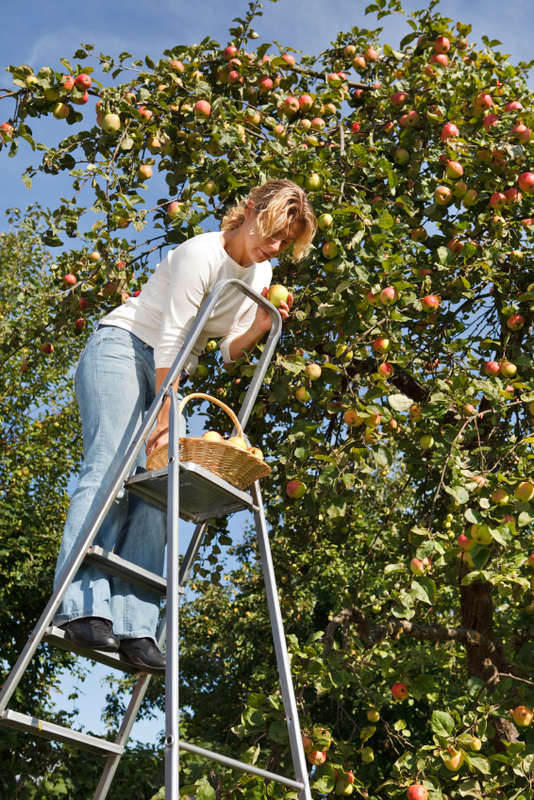 The work in the orchard on cool spring days and hot summer ones leads to trees filled with apples at harvest time. For the writer, the solitude of writing and the patience required by the review process eventually lead to publication and the beginning of the harvest. Soon the initial reviewers will provide feedback, much like the farmer sampling a few test apples. Then the pre-ordered books will ship to the first wave of readers. I am in the process of early harvest for my first book, Questioning Your Doubts: A Harvard PhD Explores Challenges to Faith. Recently, a pastor shared with me his vision of a tree laden with fruit, providing nourishment for many people. That image captures my hope for my book. What do you envision in your own season of harvest? This entry was posted in Devotion, Publishing, Writing and tagged Christina M. H. Powell, devotions for writers, Questioning Your Doubts by Christina M. H. Powell. Bookmark the permalink. I needed to read this today. So many words you shared touched me, but, “This journey also is an expression of faith,” especially got to me. No rushing the process and have faith.